Once the liquidator has completed his process, recovered funds will be distributed back to clients of SkyFX. If the recovered funds are not enough to cover the full value of the client account balances, it will become possible to seek compensation from the Investor Compensation Fund (ICF). This fund is available for clients of forex brokers operating in Cyprus. It provides for compensation of up to €20,000 in the event of a broker bankruptcy. Although the above process is likely to take a long time, most if not all clients of SkyFX should eventually get all of their account balances back. What are the lessons for forex traders? It is very important to only deal with forex brokers operating in countries with strong regulatory protection for forex traders. 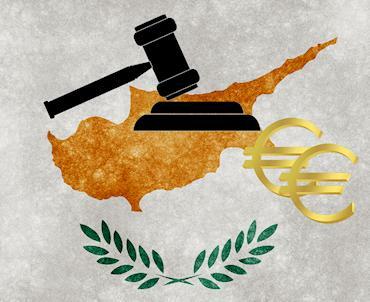 CySEC had earlier identified that SkyFX was likely violating its forex regulations to the detriment of its clients. CySEC fined SkyFX and subsequently suspended its license. Now that SkyFX is facing bankruptcy, it is clear that CySEC is working to achieve the best outcomes for forex traders who are the victims of SkyFX. If SkyFX were unregulated, victims of SkyFX would have a much harder time recovering their account balances, or of being aware of SkyFX’s poor behavior. Dealing with brokers from countries with compensation funds provides an extra layer of protection in case a forex broker goes bankrupt. Dealing only with large, reputable, regulated forex brokers is important to minimize the risk of bankruptcy to begin with.